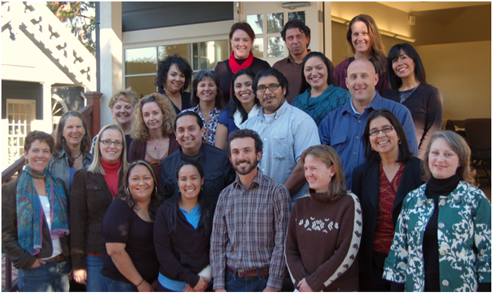 The CLP journey began in 2009 and continued through two rounds of grantmaking and collective learning. Read more about the initiative timeline and key lessons through this two-page overview. The Community Leadership Project intermediary organizations are bringing new and substantial resources to grassroots organizations in the greater San Francisco Bay Area, Central Coast and San Joaquin Valley. They are helping these organizations better serve and benefit their communities by becoming more sustainable. Here are highlights of this work, as illustrated through the approaches of seven intermediaries. LeaderSpring is a respected Bay Area-based leadership development program. It is an initiative of the Tides Center that focuses on serving leaders of color and helping them effectively navigate issues of power, privilege, race and social justice. Through the Community Leadership Project, LeaderSpring provides leadership support to executive directors of CLP community grantee organizations. The Alliance for California Traditional Arts (ACTA) promotes and supports ways for cultural traditions to thrive now and into the future. It provides advocacy, resources and connections for folk and traditional artists. These artists are tradition bearers: people who transmit what they believe, know, do and create with others who share a common heritage. From Ohlone basketry and African American quilt-making to cowboy poetry and Vietnamese opera, California is home to hundreds of diverse traditions. ACTA is the only statewide organization in California focused on all folk and traditional arts, and it is the California Arts Council's designated partner in serving the field. Nurturing this range of expression is important to preserving—and understanding—cultural heritage. But small arts organizations focused on folk and traditional art forms often struggle for funding. During Phase 1 of the Community Leadership Project, ACTA was awarded $1 million for multi-year grants to help seven small and emerging organizations become more sustainable. Grantees included Arte Americas, Merced Lao Family and the Kawaiisu Language and Cultural Center. This diverse cohort of organizations represented the multi-cultural spectrum of the Central Coast and the Central Valley: Latino, South East Asian, African American, Native American and Indigenous Mexicans. In terms of traditional arts forms, these organizations promote music, dance, craft and Native languages. With the exception of Caminos del Arte—which is based in Salinas—all the organizations are located in the Central Valley. ACTA also offered free fundraising workshops to all folk and traditional arts organizations in the San Joaquin Valley and Central Coast, regardless of whether they were able to apply for grant funds. In this way, ACTA extended the reach of the Community Leadership Project and strengthened very small and newly developing organizations that work to preserve folk and traditional arts. In Phase 2, ACTA will continue to enhance the capacity of these organizations through trainings and tailored consulting in grassroots fundraising, economic development and micro-enterprise models. California Rural Legal Assistance (CRLA) is a nonprofit public-interest law firm that advocates for economic justice and human rights on behalf of California's rural poor. Each year, CRLA provides more than 40,000 low-income rural Californians with free legal assistance. It also provides a variety of community education and outreach programs designed to address the root causes of poverty. During Phase 1, CRLA partnered with CompassPoint, an established resource to nonprofits, to provide Executive Director 101 and Management 101 training to all grantees. It also facilitated peer support groups in connection with another Phase 1 intermediary, Immigrant Legal Resource Center. Through this activity, CRLA created a network among rural nonprofits that were hungry to gain new skills. Through a tailored approach and collaboration with partners, CRLA’s grantees benefited from financial resources and access to the management, planning and legal training often unavailable to small nonprofits serving low-income people and communities of color. CRLA was funded through Phase 2 of the Community Leadership Project to identify strong, impactful community organizations and distribute a total of $2 million to them over three years. Although it is not a traditional grantmaking organization, CRLA has established the Fund for Rural Equity (FFRE) to serve as a program for long-term grantmaking and nonprofit support. 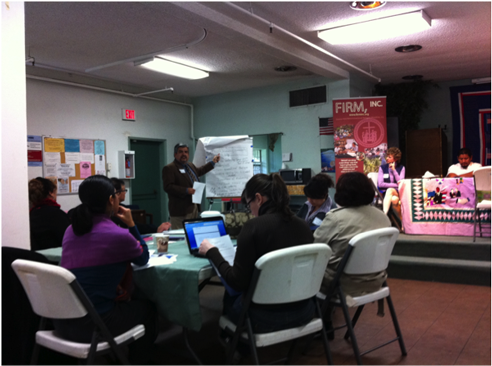 CRLA’s extensive network of rural offices identified 16 organizations for FFRE grants, which included Fathers and Families of San Joaquin, Fresno Barrios Unidos and the West Fresno Family Resource Center. Originally, we came to see CRLA because of a legal issue around our name. We knew CRLA helps minority-run organizations that work with marginalized groups, and we needed that type of support. They’ve really spent time with us, getting to know us, what our values are, talked with our kids, especially around the issue of educational equity and alternatives to incarceration… We’re now one of the grantees under the Fund for Rural Equity. The Community Foundation for Monterey County improves the quality of life in Monterey County by raising, managing and distributing charitable funds to nonprofit organizations. With more than $7 million in grants each year, this foundation is the largest grantmaker on California’s Central Coast. Using Community Leadership Project funds, this community foundation created a Leadership Education and Development Institute (LEAD) during Phase 1. LEAD was built with expertise from LeaderSpring, CompassPoint and other successful program providers, and was customized with input from nonprofit leaders on the Central Coast. It delivers a development program featuring in-depth seminars, trainings, peer discussions, individual learning plans, leadership coaching and projects that build the capacity of organizations. At a time when a challenging economy is making it harder for capable nonprofit managers to develop leadership and higher management skills, the LEAD program is a needed resource on the Central Coast. A total of 19 emerging leaders graduated from the first-year offering; more than 60 percent were leaders of color drawn from all ethnicities. In addition to the LEAD Institute, this intermediary also supported established nonprofit leaders through a facilitated monthly discussion, leadership coaching and scholarships for other training opportunities. During Phase 1, 60 to 75 emerging leaders and 45 to 60 established executive directors engaged in LEAD. Participants learned new abilities and approaches through several methods, and LEAD attracted broad participation at a critical time in the development of local leaders. The Rockwood Leadership Institute develops leaders with the skills to inspire and change their world. During Phase 1, Rockwood was funded by the Community Leadership Project to support 18 leaders of color each year (54 over three years) through the Fellowship for California Leaders of Color program. This work has been extended into Phase 2. As part of this program, fellows participate in activities including two multi-day leadership retreats, peer coaching and other leadership support over the course of four to eight months. The program provides tools on communication, emotional intelligence, self-management, team building, coaching and visioning skills. 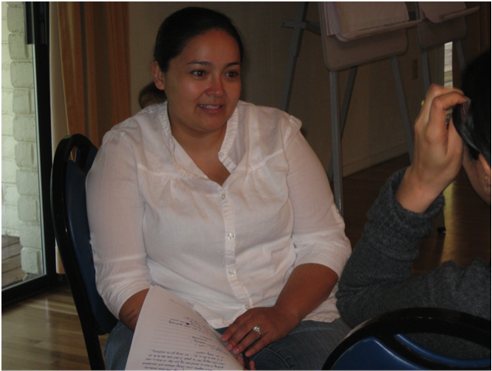 Rockwood designed the program to more specifically meet the needs of community-based leaders of color in California. It is incorporating these new approaches to enhance its core offerings for all audiences based on shared learning on how race and power affect leadership. Alma Martinez, reporter and radio producer for Radio Bilingue, attends a Rockwood Leadership Institute event. The Advanced Art of Leadership shifted my understanding of what it means to be a responsible leader. I now understand that being a responsible leader requires standing up for myself, owning my power, and taking care of myself. Art of Leadership helped me confront and see how not taking care of myself was impacting those around me. Advanced Art nurtured that understanding, gave me the space to explore my shortcomings in a profound and positive space. CompassPoint Nonprofit Services intensifies the impact of fellow nonprofit leaders, organizations and networks working to achieve social equity. Its integrated practice offers strong teaching, coaching, consulting and peer learning—all grounded in deep nonprofit leadership expertise. During Phase 1 of the Community Leadership Project, CompassPoint worked with nearly 60 grassroots organizations on both leadership and organizational development. It also worked with organizations supported by other CLP intermediaries. Much of CompassPoint’s work takes place by collaborating and listening for the true needs and interests of the grassroots organizations involved in the project. Involvement in CLP has enabled CompassPoint to further show how it responds to the needs of diverse leaders and communities, and to expand its reach to serve California nonprofits beyond the Bay Area. Its Phase 2 project activities include a series of six leadership and management trainings and a customized offering of its popular Fundraising Academy for Communities of Color. ZeroDivide helps underserved communities realize the transformative power of technology to achieve social progress and opportunity. Through the Community Leadership Project, ZeroDivide is investing in grassroots enterprises that use technology to benefit people in low-income and other disadvantaged communities. During Phase 1 of the Community Leadership Project, ZeroDivide worked to strengthen the technology capacity of 100 minority-led, community-based organizations in the Bay Area, Central Coast and San Joaquin Valley. ZeroDivide offered each of these grassroots organizations an online survey to assess its technology capacity. All participants gained a better understanding and ideas on how to improve their technology capacity and access resources (many were free or highly subsidized). A set of 20 organizations was also selected to each receive a technology mini-grant of $5,000. Each grantee received an additional in-depth assessment leading to an organizational plan that included implementing technology enhancements and consulting support. During Phase 2, ZeroDivide is offering the technology assessment survey to all Community Leadership Project grantees, and will provide its in-depth technology assessment program to 25 organizations.